The Candy Cane Inn accepts the following credit cards: Visa, MasterCard, American Express, and Discover. Checks are accepted for reservations payment any time prior to 10 days before arrival. Inside of 10 days prior to arrival, a valid credit card will be required. Those who would like to pay for their reservations in cash may do so at time of check-out. A credit card will be required at the time of check-in for the room/tax charges and for incidentals. Check-In Time: 3:00pm. Checkout Time: 11:00am – Special requests and requests for early check-in or late checkout will be subject to availability. The Fire Code of the City of Anaheim permits a maximum of (4) guests in our Standard Rooms and (5) in our Deluxe and Premium Rooms. Any person(s) occupying a room, regardless of age, will count towards the maximum occupancy of the room. Failure to comply will result in eviction from the hotel. The Registered Guest checking in must be 18 years old or older. Guests under the age of 18 will not be permitted to check-in without a parent or guardian over the age of 21 registered and staying in the room. 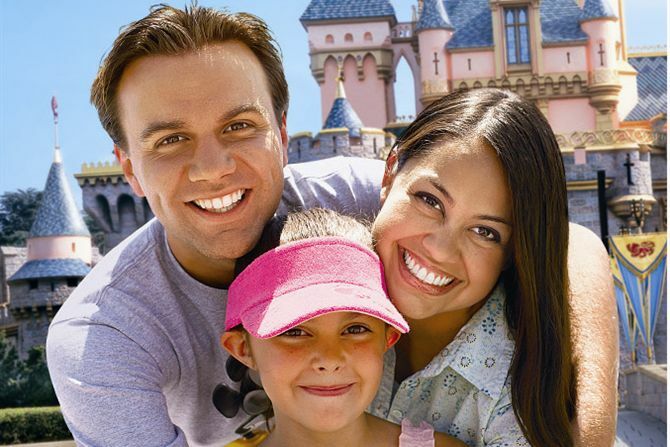 By typing "DIS" in the promo code section you must present a valid AAA/AARP card or a Disneyland Annual Pass at the time of check-in to obtain the discounted rate(s). Failure to present proper documentation will make the discount void. Military discounts apply to active duty US military personnel and he/she must be present for discount to apply. Discounts apply to maximum of (2) reservations per card/account. Annual Passholder/AAA/AARP/Active Duty US Military rates are subject to availability at the time of booking. Reservations must be canceled 48 hours prior to 3pm day of arrival. Cancelations inside of this time frame will be charged one night room and tax. All canceled reservations will be issued a cancelation number. Cancelation numbers are required in the event of a dispute. All reservations guaranteed with a credit card/debit card are subject to a charge of one night room and tax, inside of 48 hours prior to arrival. Reservations held by credit cards/debit cards that the hotel is unable to charge will be subject to cancelation. Authorization/charge releases for debit cards can take 3 – 5 business days. The Candy Cane Inn will not be responsible for overdraft fees or other fees associated with the use of a debit card. A 15% Anaheim City Occupancy Tax and a 2% Anaheim Tourism Improvement District fee will be added to all room rates and rollaway bed charges. In an effort to do our part in conserving water and energy we are updating our linens policy. Our new policy is to change bed linens every third day of your stay and upon checkout. However, we will gladly change them as often as you request. Simply call the Front Desk. All rooms feature two queen sized beds. Rollaway beds are available at an additional charge, plus taxes and tourism fees. Rollaway beds are subject to availability. 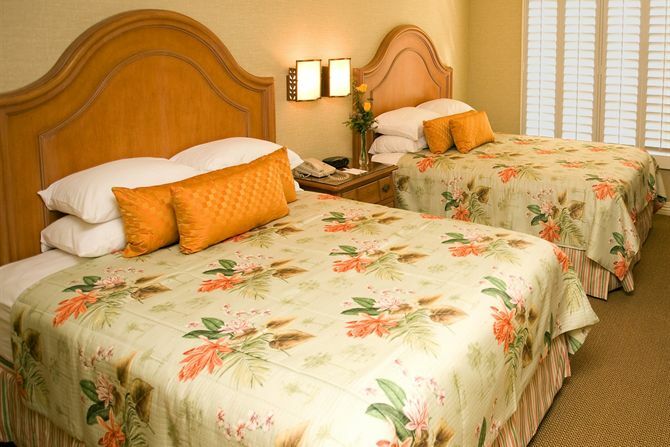 Accessible rooms are available upon request and feature two queen beds or one king bed. E-Mail confirmations are sent automatically after each new reservation, change to a reservation, or the cancelation of a reservation. Be sure to review your confirmation e-mail to ensure all the reservation details are correct. Please keep a copy of your confirmation e-mail for your records. If you did not receive your confirmation e-mail or have questions regarding your reservation, please contact our Reservations Department at 800-345-7057 or via e-mail at_information@candycaneinn.net for assistance.